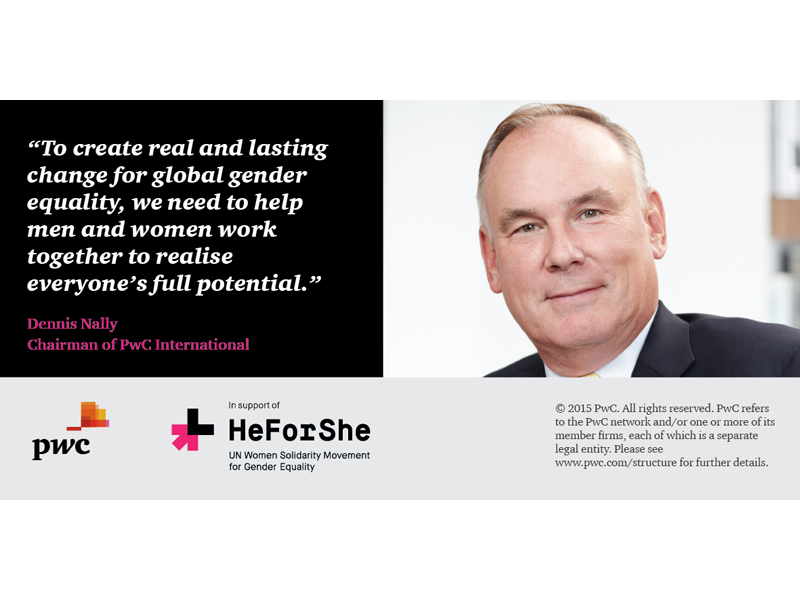 Monday 15 June 2015 – As part of a series of events this week on diversity and inclusion, PwC is ramping up its efforts to support HeForShe, the United Nations Women campaign to mobilise 1 billion men and boys around the world for gender equality. At the World Economic Forum Annual Meeting in Davos, Switzerland in January 2015, the Chairman of PwC International Dennis Nally became an IMPACT 10x10x10 champion– making PwC one of the first 10 corporations around the world committing to take action to achieve gender equality. Today marks the start of PwC’s second Global Diversity Week, a series of events to energise and engage its 195,000 people with the aim that everyone at PwC understands PwC’s business case for diversity, understands that it’s a priority and understands what he or she can personally do to become even more inclusive. During the week, PwC people all around the world will have the opportunity to engage with PwC’s leaders in discussions about diversity. Find out how we are supporting HeForShe at http://heforshe.pwc.com​ and http://www.pwc.com/heforshe​. Learn more about Global Diversity Week at: http://pwc.com/diversityweek​. As part of our commitment to diversity, PwC regularly publishes research including The female millennial: A new era of talent, which is based on a survey of 8,756 female millennials (women born between 1980-1995) from 75 countries to find out how they feel about the world of work and their career. More thoughts on diversity can be found on PwC’s Gender Agenda blog at: http://pwc.blogs.com/gender_agenda​. 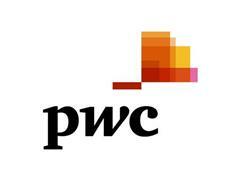 On Friday 27 February, PwC hosted its second global Aspire to Lead webcast for over 200 students. The discussion focused on the question, ‘What would you do if you were not afraid?’ The panel webcast featured ‘The Confidence Code’ authors Katty Kay and Claire Shipman; Eileen Naughton, Managing Director of Google UK and Ireland; and Mike Fenlon, PwC’s Global and US Talent leader. The webcast was viewed by thousands of people across the world.